While it has been reported previously that Saudi airstrikes in Yemen have led to the deaths of over 10,000 inncoent civilians, a finding which according to Reuters suggested the US could be found guilty of war crimes for supporting the Saudi assault, it is time to shift attention to what is taking place a few hundred miles north. The reason: U.S.-led coalition airstrikes against the Islamic State have killed over 1,000 civilians in Iraq and Syria since 2014. In its latest monthly civilian casualty report, the Coalition detailed confirmed deaths of 1,139 civilians in airstrikes conducted since the beginning of Operation Inherent Resolve between August 2014 and November 2018, VoA reports. 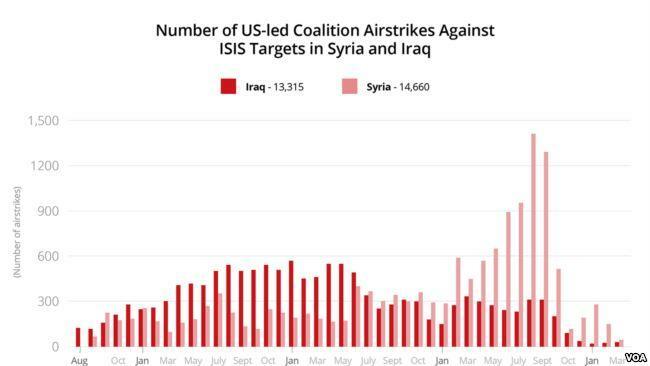 "The Coalition conducted a total of 31,406 strikes between August 2014 and end of November 2018. During this period, based on information available, CJTF-OIR assesses at least 1,139 civilians have been unintentionally killed by Coalition strikes since the start of Operation Inherent Resolve," the report read, however noting that nearly eight million Iraqis and Syrians have been liberated from IS-rule during that time (many of which have since fled to Europe thanks to Angela Merkel's disastrous "open door" policy which was the key catalyst in spawning Europe's populist wave). An additional 184 reports of other unintended civilian casualties are still being evaluated. The dramatic figures were only first revealed in July, when the Coalition admitted that 1,059 civilians had been killed in airstrikes since 2014, amid calls for updated figures from rights organizations, which have long accused the coalition of significantly undercounting the number of civilians it has killed during years of fighting against Islamic State. The latest report reflects the updated total number of civilian deaths, including confirmed reports from the past six months, and comes just weeks after Trump's dramatic announcement to withdraw US forces from Syria. Still, even as regional forces race to position themselves for the imminent withdrawal of U.S. troops from the region, U.S. military officials caution nothing on the ground has changed yet, and on Friday, the U.S. dismissed claims Syrian forces were taking control of the northeastern city of Manbij, a key flashpoint between U.S.-backed Kurdish militias and Turkey, at the request of the Syrian Kurds. 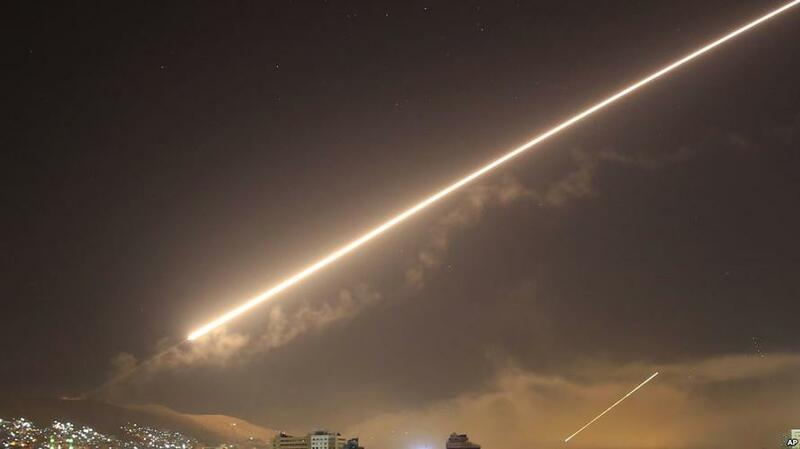 It is unclear if the US departure will result in fewer civilian casualties or if the number will only rise should Turkey, Iran, Russia and other regional players scramble to occupy Syrian territory, potentially resulting in a far worse escalation in hostilities as what until recently was a (relatively) targeted operation morphs into a land grab free for all.